Freedom from Hunger and Thirst—by ready access to fresh water and a diet to maintain full health and vigor. Freedom from Discomfort—by providing an appropriate environment, including shelter and a comfortable resting area. Freedom from Pain, Injury, or Disease—by prevention or rapid diagnosis and treatment. Freedom to Express Normal Behavior—by providing sufficient space, proper facilities, and company of the animal’s own kind. Consider the word “prevention” in this freedom. Freedom from pain requires us to be proactive in our pet’s health. Obviously we should provide a safe environment for our dog. We also have the obligation to be aware of when our pet is in pain so we can get appropriate help. Finally, we must consider the less evident need to anticipate the development of any painful disorders. Awareness of the potential for the development of painful conditions also means the chance for earlier intervention; prompt treatment of pain results in less overall pain for your dog, reduced intervention and costs when treated at an early stage, and a lesser probability of that pain leading to more advanced pain states. Foreseeing potential pain might seem like a tricky problem to address, but it is actually simpler than you might think. The first step is become informed about your dog’s breeding. Should you have a purebred dog, you need only get the facts on a single breed; in the case of a simple mix of breeds, consider the breed of both the mother and father. Breeds and genetics play a huge role in problems that may develop in purebred dogs. You might anticipate back issues if you own a dachshund, hip dysplasia in German Shepherd Dogs, stress on joints due to conformational issues in English Bulldogs, and so on. A brief discussion with your veterinarian when your dog is still a puppy or when you first acquire him or her can help you make a list of potential key issues for you both to watch out for as your dog ages. Other good sources of information on this subject are the many breed-specific books available. You can be even more proactive by seeking medical help to screen for any genetic issues through radiographs and regular examinations. Radiographs can be instrumental in finding genetic issues like hip dysplasia, but they also can detect problems like osteoarthritis, sometimes even before you or your veterinarian can see the signs of it in your dog. Knowledge is power, and comprehension of a disease means early intervention, more treatment options, and in most cases, less money spent on your pet’s healthcare in the long run. A decade ago, the mindset of most veterinarians, at least when it came to pain, was reactive rather than proactive—in other words, treating the pain only when it could no longer be ignored. This mindset has dramatically changed in the intervening years, especially through the efforts of the American Animal Hospital Association, which has been the driving force behind the inclusion of pain evaluations in every examination.ii They refer to pain as “the fourth vital sign” to be evaluated and recorded alongside the classic vital signs of temperature, pulse, and respiration. 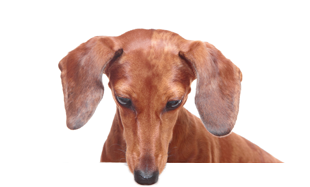 Every veterinarian in practice should be examining every dog for signs of pain, not only by taking a careful history, but through observation and palpation. Doing so is now considered the gold standard for the veterinary examination. What if your dog has a “job”? Obedience and agility dogs often acquire repetitive strain injuries, which are exactly what they sound like: repetition of the same task or motion over and over again, leading, for example, to a breakdown of a joint or ligament. Compare this scenario to that of a person who develops carpal tunnel syndrome secondary to a repetitive work condition. Working dogs can also be prone to certain types of injuries, depending on the type of job they perform. Anticipation of some of these injuries might be self-evident, but unless your veterinarian is certified in rehabilitation, she might not be aware of all of the potential injury issues. Talk to people in the agility community, and ask what kinds of problems they have experienced. Also speak to a rehabilitation veterinarian and get recommendations from her. In every case, there is usually something you can do to minimize or avoid potential injury. For dogs with jobs, prevention might take the form of warm-up exercises and stretches, or perhaps icing stressed joints and massage of overused muscles. When it comes to pain issues, the old adage, “An ounce of prevention is worth a pound of cure” cannot be truer. Anticipation leading to early diagnosis and early treatment of pain is not only humane, it will prevent untold future suffering. By taking these steps, you actually alter the course of the disease, and hence the pain itself. Next, consider the phrase “rapid diagnosis.” Unfortunately, I find that people commonly postpone bringing their pet to the veterinarian for a number of reasons. They may believe in one or more of the pain myths I outline in Chapter One, “Recognizing Signs of Pain in Your Dog.” Or it may be because—although the animal’s leg might appear painful—it seems to “get by.” Too often I see people bring in a pet after weeks or months of ignoring an obvious pain issue in the dog. Of course there are times where you might wait a day or two, hoping the problem is minor and will resolve of its own accord, but if the issue—seemingly minor or not—doesn’t go away after a day or two, it’s essential to seek veterinary attention. Of course, if the animal, for example, has blood or pus emerging from an ear or the skin, the problem will not resolve on its own, at least not without health risks and accompanying pain, and it becomes even more important to seek immediate attention. Sadly, I often see problems like this go unattended. I want to emphasize that putting off your pet’s appointment not only makes your pet wait in pain, but the resulting delays in diagnosis and treatment can often lead to irrevocable harm. The following example is a case in point. Buddy began to limp again. This time it started out slow and got progressively worse, to the point where he held up the leg most of the time. Buddy’s owner finally brought him in to me for an examination. Through a physical exam and confirmatory radiographs, I quickly ascertained that he had ruptured the cranial cruciate ligament of his right knee. What is more, after the initial pain of the rupture abated several weeks ago, he had started using his now-unstable knee and slowly but surely caused severe damage to the meniscus, a cartilage pad in the knee. This meant that even though I could treat the ruptured ligament and meniscus, and give him back a functional knee, the inflammatory response was such that Buddy was destined to a lifetime of osteoarthritis in that knee, mandating chronic pain treatments and reduced function of that limb. Had the owner brought Buddy in at the three-to-four-day mark, when it was obvious the problem wasn’t going to abate with a little rest, all of this collateral damage could have been avoided. In the end, the owner saved no money: to the contrary, he spent much more treating Buddy’s condition. No time was saved either: Buddy would now have to visit me much more frequently than he would have otherwise. And finally, Buddy would have to suffer his osteoarthritis for life—because he certainly couldn’t have called my office to make an earlier appointment for himself. This seems like an obvious and reasonable premise. Why wouldn’t we want to treat our pet’s pain? Treatment options abound, as described throughout this book. It can be frightening for caregivers to walk through their veterinarians door, contemplating what proper treatment may cost, but it shouldn’t be—it is the rare pain condition that doesn’t offer several options for treating pain, some relatively inexpensive if you are willing to devote some time to your dog’s care. A long list of possible treatments can seem daunting, but this shouldn’t discourage you— after all, you are not the expert here. Your veterinarian should always take the time to explain the benefits as well as the downsides of each presented treatment. Most important, raise any fears or other concerns that may prevent you from visiting your veterinarian, for unless you do, your pet has no chance of getting help. It distresses me to no end when an owner brings his dog to me with some clearly treatable issue, yet is reluctant to spend the necessary time or money for the proper treatment. We have to remember that if we choose to take an animal into our care, that care does not stop with food, water, and a place to sleep. It is our moral responsibility to provide for all aspects of our pet’s needs. I only wish that every dog came with a warning label: Requires food, love, and veterinary care. May get sick, needing money and devotion. Will grow old and will depend on you for care and comfort in his old age.